Zee Santiago has opened for Hip Hop superstars such as Drake, Lupe Fiasco, Fabolous, Juelz Santana, DJ Unk, Mike Jones, K’naan, Common, & KRS-One. 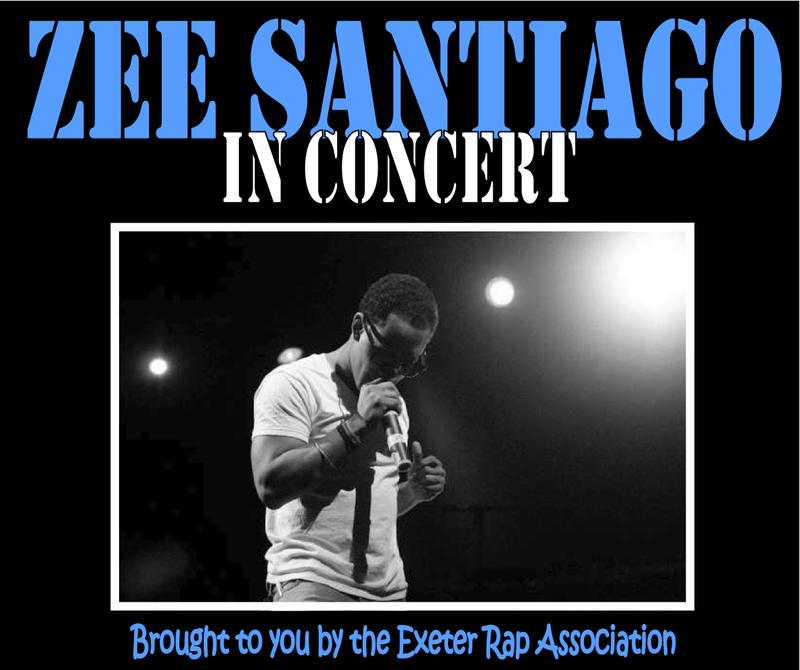 On Saturday, September 18th, Zee will be performing at Phillips Exeter Academy. The concert will be in Grainger Auditorium and will start at 9:00pm. To check out some of his material beforehand, check out his website. To download his album, Work In Progress, click here. This entry was posted in Club News and tagged era concert, phillips exeter academy, zee santiago. Bookmark the permalink.